A Foodie Bibliophile in Wanderlust: Happy World Read Aloud Day! Last year during World Read Aloud Day my 6th graders paired up with their 3rd grade buddies and I read to them Audrey Vernick's newest (at the time) picture book So You Want to Be a Rock Star. Afterwards, the 6th graders read a book to their buddies. 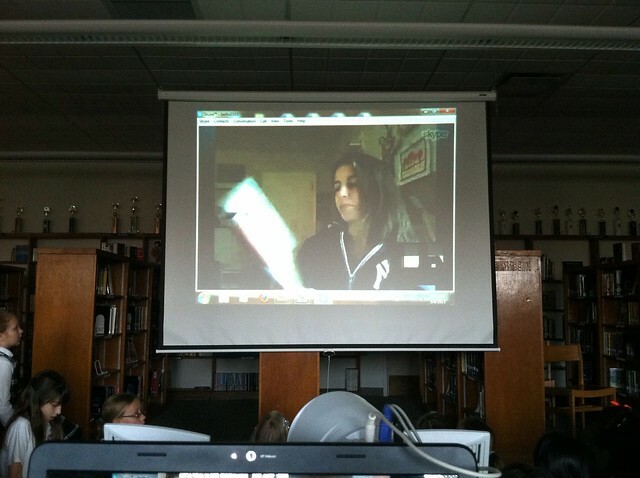 Anyone who knows me knows what a huge fan I am of Audrey's books so this year I took a leap and asked if SHE'D read So You Want to Be a Rock Star to the 3rd and 6th graders via Skype. Because Audrey is a rock star when it comes to talent and graciousness, she obliged. But she did me one better: Instead of reading an already published book, she gave us a sneak peek at her upcoming picture book, Bogart and Vinnie. After the read aloud, Audrey answered some questions the students came up with beforehand, but the answer that stuck with me the most is one I will be telling students for the rest of my teaching career. My 6th graders are currently working on a research project and one of my challenges as a teacher is to make research feel relevant because so often it feels like an exercise in futility. "This is so boring!" and "When will we ever have to use this in the real world?" often ring through the classroom walls. Since Audrey has written a few nonfiction picture books, I wanted her to give her take on the research process. Her advice: find the story. Facts are important, but it's what you do with those facts once you've collected them that's of equal importance. Don't get so bogged down with facts that you forget that there's a story to tell. So from here on out, you will forever and always hear me telling my students to find the story. That advice absolutely shows in Audrey's writing. I think you'll agree if you've read Brothers at Bat that she wrote about more than just an all-brother baseball team and found a way to make it about more than just baseball. As someone who is not a fan of baseball I can tell you that it is also a human-interest story and that great writing can transcend likes and dislikes. I normally hate fantasy novels but I love Harry Potter. I normally hate baseball, but in between the pages of an Audrey Vernick picture book, she makes me see why it's such an important part of American culture and history. Why? Because she found the story. But let's not forget about Bogart and Vinnie. And while it might not be a nonfiction picture book, Audrey still managed to find the story based on her fascination with the idea of inter-species friendships. In this book Vinnie, a happy-go-lucky, good-natured, yet clueless dog finds happiness and companionship in a giant, lazy rhinoceros. News of their unusual friendship spreads and they become a world-wide sensation. I'm already seeing the potential with this book to be a wonderful reading ladder to our newest Newbery winner The One and Only Ivan. 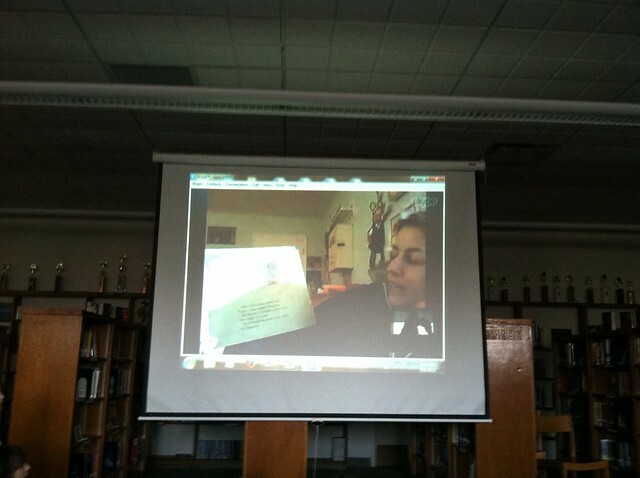 Thanks so much for taking time out of your day to Skype with us Audrey! 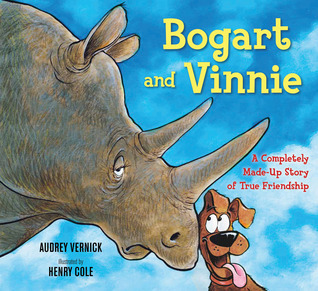 I can't wait to get my hands on a copy of Bogart and Vinnie in June!